WOAH ! What happened to map 43 ? Some maps are only released as Patreon exclusive content. If you like my maps and would like to have access to all my creations. Consider joining our boat, sponsoring me. You will get access to all the material in Hi-Def version. 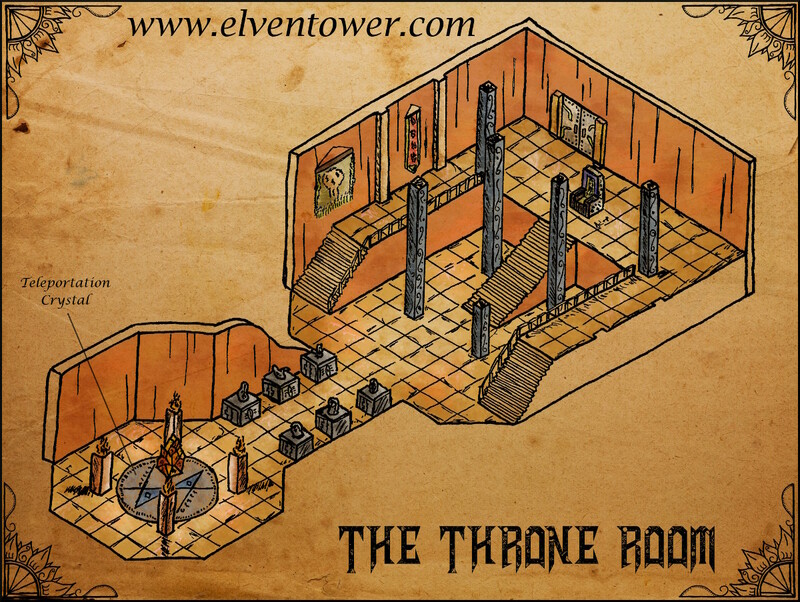 Elven Tower presents an awesome throne room with a super security configuration; the only way to access it is through a teleporting crystal. The other end of the teleportation device is in a part of the castle or stronghold that is more easily defendible than the throne room itself. This throne room is a great way to portray an overly cautious king, a vampire overlord, a demon lord or a lich king. By the way, this throne room is compatible with my Map 43 – Fortress of Sorrow, it’s a three level castle that’s only available for my sponsors; this is a preview of it.